The desk is amazingly transparent and the headroom is huge. There is just way more depth and detail, sonically. LONDON, ENGLAND - French-Israeli singer-songwriter, Amir, is currently making his way through France and Belgium as part of his latest 2019 European live tour. Backing up the respected artist on FOH duties is engineer Ivan Herceg, and David Chancereul on monitors; both using SSL Live consoles. Supplied by Dushow, the set up includes an SSL L500 handling monitors, with Herceg opting for the smaller SSL L200, as it has performed so well for him on previous outings. Amir's tour is playing across sizeable arenas and Herceg is happy the L200 is more than up to the job. "If you move something a little bit, it really moves; and if you push it a little bit on the EQ, it actually comes closer. These kind of sensations we have never felt with other brands in a live application"
Herceg says it’s not only the overall smoothness of sound and presence of the instruments in the mix, but also that 'in your face' feel that he seems to be able to achieve using his SSL L200. 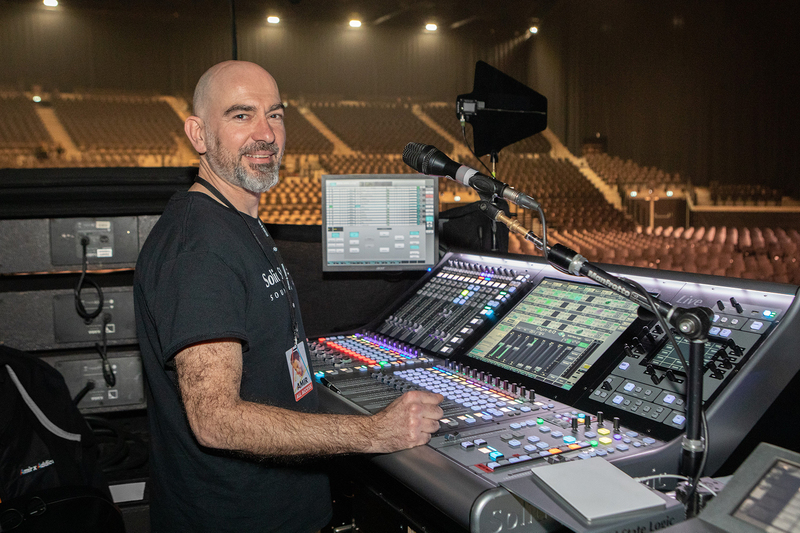 It was a couple of years back, when Herceg was working with French band, Lilly Wood and The Prick, that he first took out an SSL L300 console and was blown away by what he heard. It was a combination of the low end, the overall image, and the fact that it was a musical sounding desk, that quickly attracted him to it.